Spanish Wine Australia – 5 must try Spanish Varietals! 5 Must try Spanish Varietals! With so many wines to choose from these days, many of the Spanish varietals are overlooked. Probably the most popular varietal here in Australia at the moment is Tempranillo, which exhibits sour cherry, plum and black pepper characters. But Spain has so much more to offer than just Tempranillo. So let's take a look at 5 must try Spanish varietals! I’m actually surprised this varietal of sparkling wine isn’t more popular in Australia. It hails from Catalunya, is a traditional method Macabeu, Parellada and Xarel·lo, can come in both a white and a rosé and offers incredible value for money (You can pick up some Cava for around $12-15!). We are so focused on drinking Prosecco and Champagne that poor cava in the middle gets neglected. It’s dry, easy to drink and is still a little interesting. Personally, I love the fine bubbles in Cava and even though it doesn’t have the minerality of Champagne, it’s good for everyday drinking without breaking the budget. Did you know Garnacha is known as Grenache in France, but the grape originated in Spain? Shock horror. It was actually planted by the Pheonicians thousands of years ago. There are two kind of Garnachas in Spain, a young style and a high end, aged style. It can grow in many regions in Spain including; Catalunya, Campo de Borja, Navarra, La Mancha and Priorate for more premium styles. Young Garnacha exhibits strawberry, grapefruit and black tea characters whereas high end aged garnacha will exhibit red liquorice and grilled plum. The aged style is bold and complex with quite high tannin and they can be aged longer as they come from old vines. Probably the most recognised Spanish Varietal in Australia right now. Tempranillo can hail from Rioja, Ribera del Duero, Valdapeñas, La Mancha, Castilla-León and more. Young Temp is so easy to drink and exhibits sour cherry, plum and black pepper characters. It receives less than a year of aging and is quite light. It’s great with food and you can find them quite cheap (around $10-$15). Aged Tempranillo exhibits more tannin, cedar, vanilla and dried figs as they have been aged in oak and spend several years in bottle before release. Ageing Tempranillo will soften the peppery notes. Look for the word Reserva and Gran Reserva to know you are buying an aged Tempranillo. I’ll be open and honest here, this is a little bias but Alabariño is one of my favourite white wines. It’s always of the highest quality and even though its light in body, it has high acid, is quite dry and its refreshing. It goes remarkably well with sashimi dishes as it has an interesting Saline taste to it. The nose is really aromatic, it has mid palate weight, refreshing acidity and a long finish. It tastes similar to a dry riesling or a chenin blanc. I highly recommend giving it a try even though they aren't the cheapest of white wines. One of my favourite regions of Spain. It is famous for full bodied Garnacha and Cariñena blends and a decent bottle can set you back $40-$60 a bottle but they are magnificent. The typical structure will offer moderately acidic reds with big tannin and higher alcohol and flavours of sun dried plum, cassis, a rocky mineralogy and some sweet spices like cinnamon or cardamon. There are also 12 sub zones within the tiny region that have been identified for making wines with either big structure and high tannin or harmonious wines with finer tannins…it’s worth doing some research on the region but the best way to understand it is to invest in a few bottles and give them a try! As it’s hard to find one brand in Spain that covers a number of regions, we are lucky to import Spanish Story which showcase excellent examples of some of the wines above! Cava, Tempranillo, Garnacha, Albariño and more. 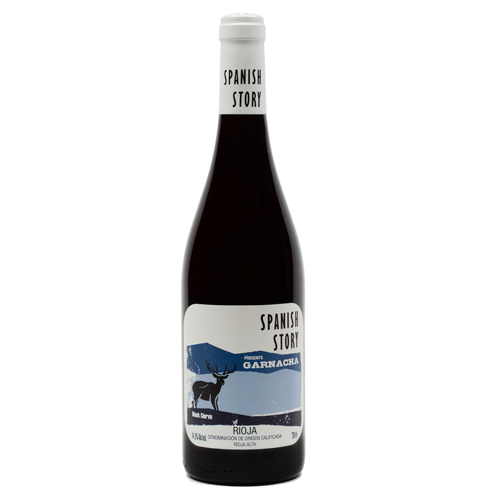 Spanish Story decided to simply focus on the Spanish grape variety. 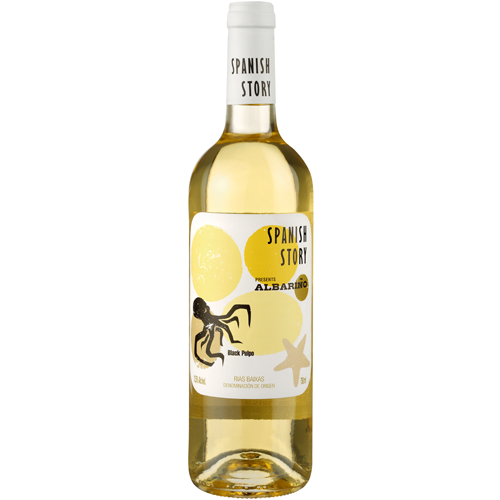 To let you know what kind of Spanish grape you are drinking and to tell you a story about Spanish grapes while you enjoy them. Their fresh, their ready to drink right now, try them today! PS: Hope you bring some to next year’s Canberra Food & Wine Show?